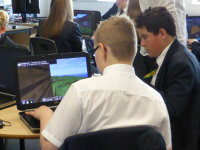 The term 'game-based learning' is a much disputed and variously defined term which can range from using game 'principles' in the classroom to employing actual video games to allow pupils to learn in a 'live' environment. A very popular game, Minecraft, has recently been acquired by Microsoft from the original developers, Mojang along with the education version, MinecraftEDU. Microsoft is due to release a Minecraft: Education Edition beta trial in summer 2016. The education version of the game gives you a range of teacher controls which makes managing your class whilst in-game a whole lot easier. You decide where and when students build, you can stop them destroying existing buildings and objects and allow building in certain areas and with certain materials. You can track where students are and what they are up to with the 'mini-map' tool. As you can see in the picture, each person's co-ordinates on the map are displayed at the top of their screen. You can see other players, with their name displayed above the little symbol. 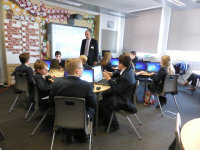 In my former role with a company called Civica, I organised two one-day workshops for schools in Barnsley with TeacherGaming who are the developers of MinecraftEDU, the former educational version of the Minecraft game (for details of latest version see main article on right) You can hear me talking about the context and purpose of that project on this video at the Civica Education Conference in March 2015. 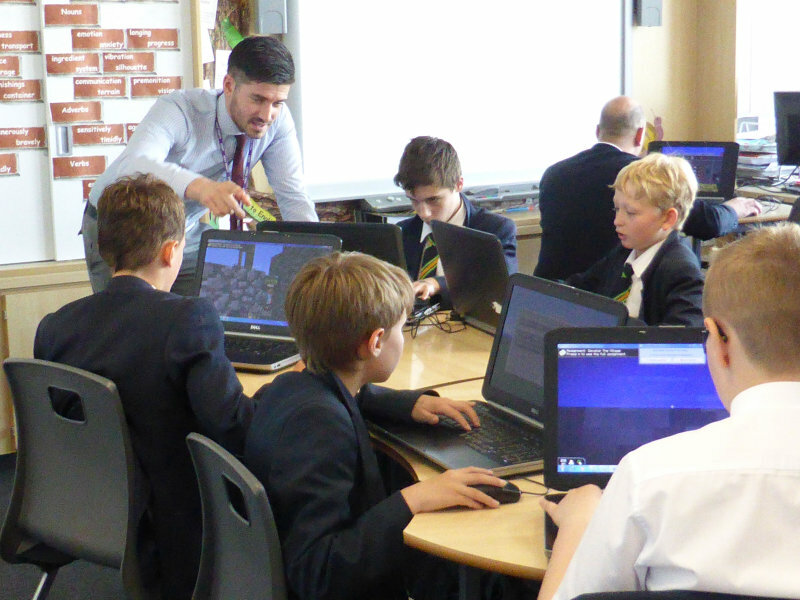 One of the workshops which took place at Holy Trinity school in Barnsley was filmed by BBC Breakfast in June 2014.